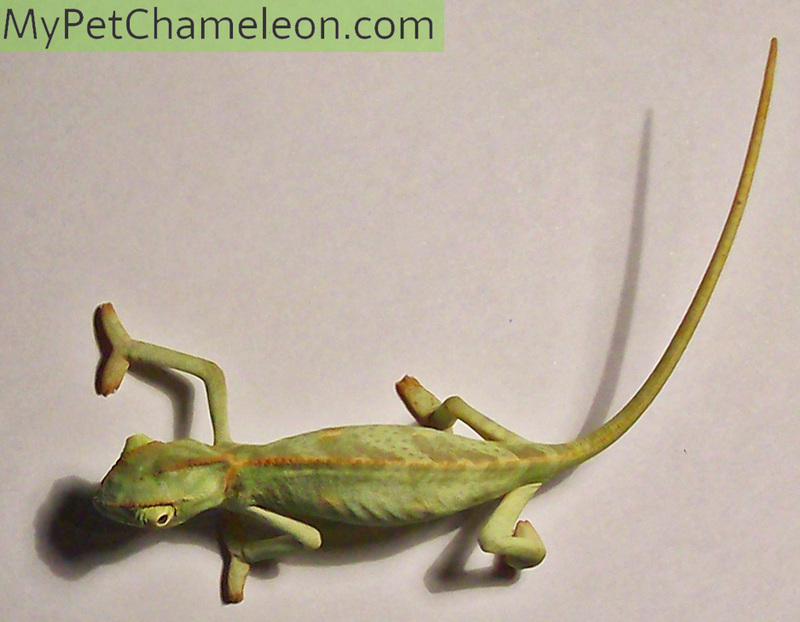 Jackson’s Chameleon (or, Chamaeleo jacksonii xantholophus) is a lizard hailing from the Nairobi area, from Kenya. Jackson chameleon males have three long horns on their head. It’s their most striking feature. Females do not have these horns. They are very docile and pleasant reptiles, which are an excellent choice for any reptile keeper. 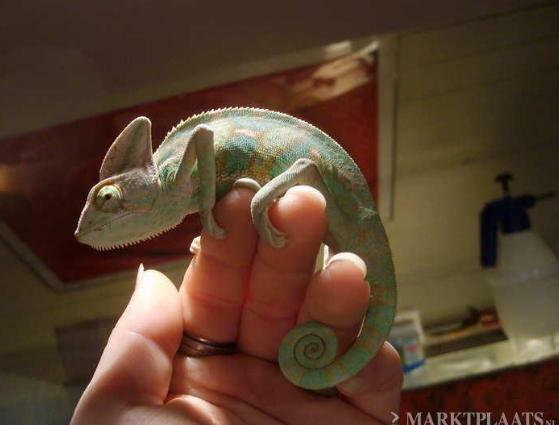 Jackson’s chameleons are not the easiest pets, so it’s important you know how to take care of one before you get one. The hatchlings are usually around 4 inches long, while adult females and males are around 7 and 9 inches long, respectively. The males can live up to ten years, while the females live only around four to five years. These are beautiful creatures, and you should give them all the attention and work they deserve. Below you will find out all you need to know to keep them as happy and as healthy as possible. First, their habitat. 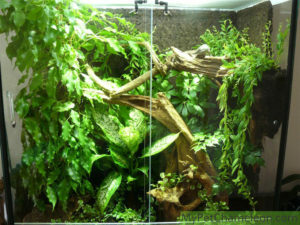 The size of the screen cage should be around 3 foot tall, and around 2 feet long. Also, since they are solitary animals, it’s best if you keep your chameleons (if you have more than one) in separate cages. As far as the foliage is concerned, just focus on getting a nontoxic plant, like a Ficus. Also, try to avoid having any special substrate on the ground, a paper towel (or, honestly, nothing) is completely ok as long as you keep the cage clean. Having a bunch of sticks of various sizes or fake or real plants is a good idea, making the chameleon happier as it is able to hide. It also makes the enclosure easier on the eyes. Now, keep in mind that the temperature in your chameleon’s enclosure needs to differ depending on if it’s day or night time. So, during the day, it’s best if you keep the enclosure at around 80 degrees Fahrenheit, while during the night you should keep it at around 60. Also, you should get them a spot lamp so they can stay warm, as well as placing a UVB full spectrum tube in the enclosure. Of course, all this is great, but if possible the best is just giving your lizard a couple of hours of actual unfiltered sunlight every day. Next, hydration. Obviously, this is very important, since the health of any lizard is really dependent on its hydration level. Since this species of chameleon lives in a place where the humidity averages around 65 percent throughout the year (never below 50), you should mist the lizard, the enclosure and any sticks and trees in at least twice a day. This will allow it to have healthy eyes and skin, and help it feet as well. 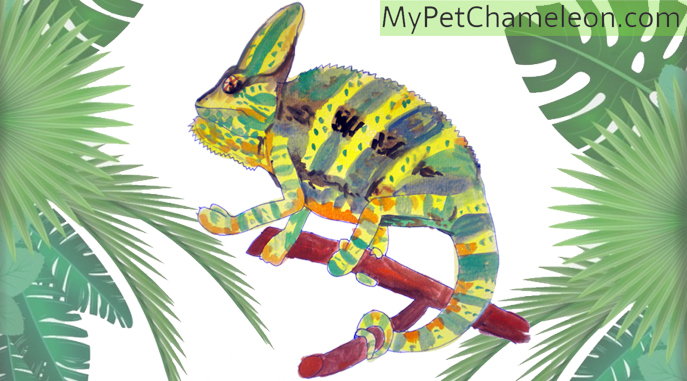 To read more about water for your chameleon, check out drinking water for chameleons. 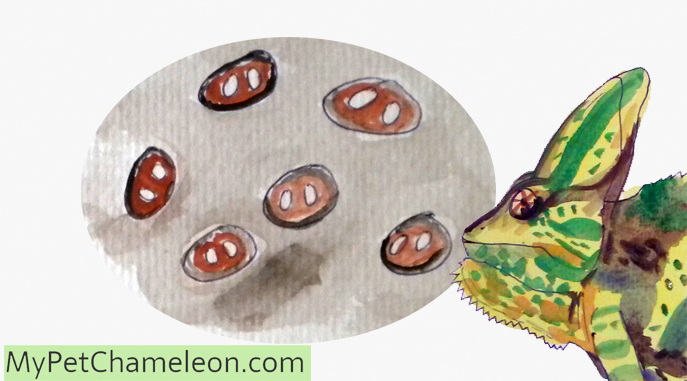 The chameleon’s diet is also very important and is not as simple as you think. First of all, it’s best if you get your Chameleon live insects (as chameleons are insectivores), like cockroaches, house flies, small snails, crickets, and mealworms. You should give them around 6 insects for every meal (once a day is enough). 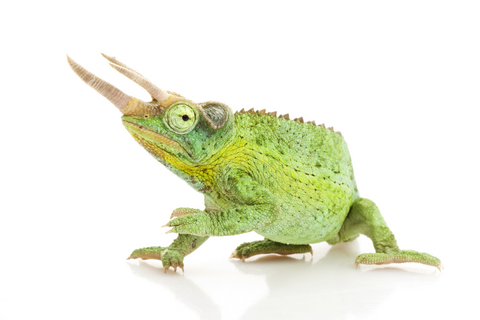 The bugs should be no larger than half of the chameleons head.